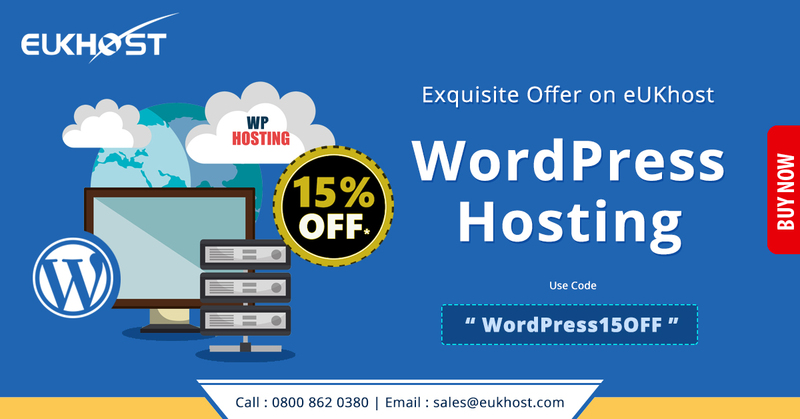 Get 15% off the first invoice on eUKhost WordPress Hosting. To avail this offer use coupon "WordPress15OFF". Every plan comes with WordPress preinstalled – a powerful, easy to use blogging and content management system that powers millions of websites around the world! Whether you're a novice or a pro, our WordPress Hosting plans make it simple and easy to create your blog or website with everything you need to get started right away.